The TeSR™ family of feeder-free media are produced using rigorously pre-screened materials to ensure the highest levels of batch-to-batch consistency and experimental reproducibility, allowing you to minimize variation in your research. Each medium is based on published formulations1-3 from the laboratory of James Thomson, and allows researchers to maintain high quality human pluripotent stem cell (hPSC) culture systems. These products provide a continuous TeSR™ media-based workflow, from generation of induced pluripotent stem (iPS) cells, to maintenance, differentiation and cryopreservation of embryonic stem (ES) and iPS cells. 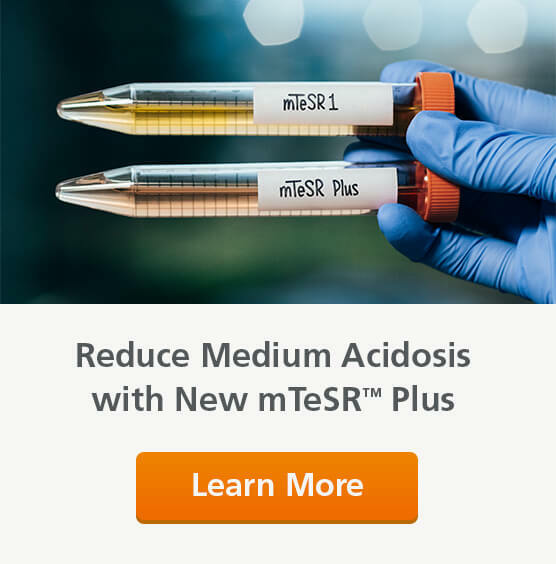 Why Use mTeSR™ and the TeSR™ Media Family? FEEDER-FREE. Feeder-free hPSC culture minimizes variability by limiting the presence of undefined components and immunogenic material. PROVEN. mTeSR™ is the most widely published medium for hPSC culture with > 1500 peer-reviewed publications. OPTIMIZED. The same base formulation in each medium allows for establishment of a continuous TeSR™ media-based workflow. Which TeSR™ Feeder-Free Medium is Right for You? Need help choosing the right TeSR™ Medium? Use our infographics to help you decide. Use the most published medium for hPSC culture, mTeSR™1, for a wide variety of applications, including bioreactor expansion and single-cell cloning. Use TeSR™2 for a xeno-free variation of mTeSR™1. Use for low protein differentiation, screening assays and other applications where the removal of specific cytokines is desirable. Add other cytokines or growth factors for specific applications. 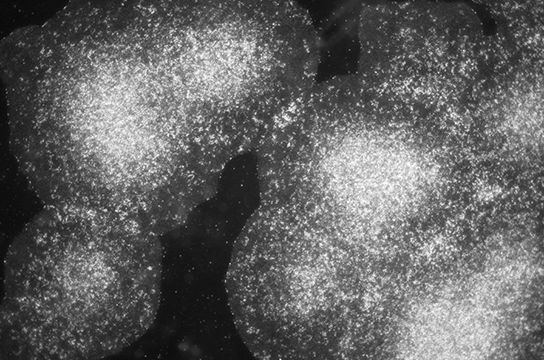 What Are the Functions of Cytokines in TeSR™ Media and Their Impact on hPSC Culture? Insulin promotes cell survival and proliferation, while also inhibiting differentiation to specific lineages (e.g. 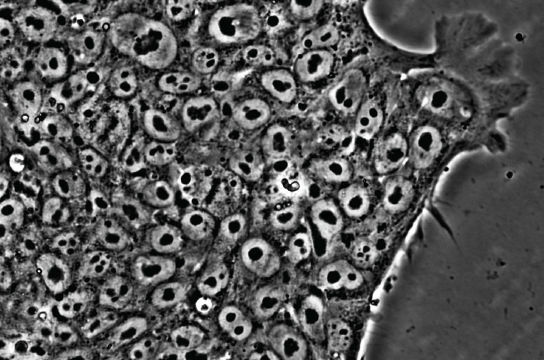 cardiomyocytes). It is present in all of our TeSR™ media (except for TeSR™-E5). bFGF is an important cytokine for hPSC self-renewal and expansion and can be found in the TeSR™ reprogramming (ReproTeSR™, TeSR™-E7™) and maintenance (mTeSR™1, TeSR™2, TeSR™-E8™) media. TGFβ inhibits reprogramming and is important for maintenance of hPSC pluripotency. TGFβ is found in all three TeSR™ maintenance media (mTeSR™1, TeSR™2, TeSR™-E8™). In 2006, Dr. Tenneille Ludwig and colleagues of Dr. James Thomson’s lab at the University of Wisconsin reported the derivation of a new ES cell line in fully defined, feeder-free culture conditions.1,2 This first defined medium significantly improved human ES cell culture, and was commercially released as mTeSR™1, becoming the most widely-published feeder-free medium, used in over 1100 peer-reviewed publications. Later, a xeno-free medium based on the same formulation was released as TeSR™2. In 2012, a new, low protein maintenance medium called TeSR™-E8™ was released. Based on the E8 formulation3 published by Dr. Guokai Chen of Dr. James Thomson’s lab, TeSR™-E8™ contains only the most essential media components required, thereby providing a simpler medium for maintenance of hPSCs. 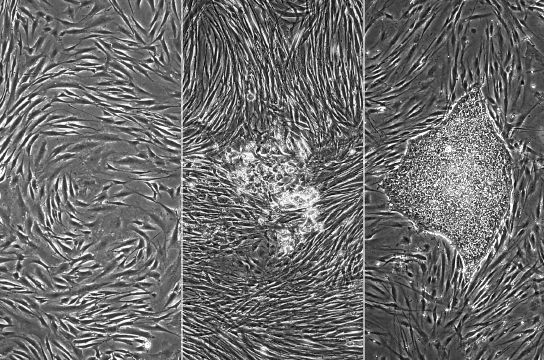 In addition to TeSR™ maintenance media, STEMCELL Technologies has developed TeSR™-based media to support other facets of the pluripotent stem cell research workflow, including media optimized for reprogramming fibroblasts (TeSR™-E7™), reprogramming blood cell types and fibroblasts (ReproTeSR™), differentiation (TeSR™-E6 and TeSR™-E5) and cryopreservation (mFreSR™ and FreSR™-S). Jagtap S, Meganathan K, Gaspar J, Wagh V, Winkler J, Hescheler J and Sachinidis A (2011), Cytosine arabinoside induces ectoderm and inhibits mesoderm expression in human embryonic stem cells during multilineage differentiation, Br J Pharmacol. Vol. 162, pp. 1743-56. Kleinstreuer NC, Smith AM, West PR, Conard KR, Fontaine BR, Weir-Hauptman AM, Palmer JA, Knudsen TB, Dix DJ, Donley ELR and Cezar GG (2011), Identifying developmental toxicity pathways for a subset of ToxCast chemicals using human embryonic stem cells and metabolomics, Toxicology and Applied Pharmacology., November, 2011. Vol. 257(1), pp. 111-121. Liang P, Lan F, Lee AS, Gong T, Sanchez-Freire V, Wang Y, Diecke S, Sallam K, Knowles JW, Wang PJ, Nguyen PK, Bers DM, Robbins RC and Wu JC (2013), Drug screening using a library of human induced pluripotent stem cell-derived cardiomyocytes reveals disease-specific patterns of cardiotoxicity. Circulation., April, 2013. Vol. 127(16), pp. 1677-1691. Liu J, Sun N, Bruce MA, Wu JC and Butte MJ (2012), Atomic Force Mechanobiology of Pluripotent Stem Cell-Derived Cardiomyocytes, PLoS ONE., May, 2012. Vol. 7(5), pp. e37559. Mehta A, Chung YY, Ng A, Iskandar F, Atan S, Wei H, Dusting G, Sun W, Wong P and Shim W (2011), Pharmacological response of human cardiomyocytes derived from virus-free induced pluripotent stem cells, Cardiovascular Research., September, 2011. Vol. 91(4), pp. 577-586. Brown ME, Rondon E, Rajesh D, Mack A, Lewis R, Feng X, Zitur LJ, Learish RD and Nuwaysir EF (2010), Derivation of induced pluripotent stem cells from human peripheral blood T lymphocytes, PLoS One. Vol. 5, pp. e11373. Carpenter L, Malladi R, Yang C-T, French A, Pilkington KJ, Forsey RW, Sloane-Stanley J, Silk KM, Davies TJ, Fairchild PJ, Enver T and Watt SM (2011), Human induced pluripotent stem cells are capable of B-cell lymphopoiesis, Blood., April, 2011. Vol. 117(15), pp. 4008-4011. Dravid G, Zhu Y, Scholes J, Evseenko D and Crooks GM (2011), Dysregulated gene expression during hematopoietic differentiation from human embryonic stem cells, Mol Ther. Vol. 19, pp. 768-81. Niwa A, Heike T, Umeda K, Oshima K, Kato I, Sakai H, Suemori H, Nakahata T and Saito MK (2011), A novel serum-free monolayer culture for orderly hematopoietic differentiation of human pluripotent cells via mesodermal progenitors, PLoS One. Vol. 6, pp. e22261. Salvagiotto G, Burton S, Daigh CA, Rajesh D, Slukvin II and Seay NJ (2011), A Defined, Feeder-Free, Serum-Free System to Generate In Vitro Hematopoietic Progenitors and Differentiated Blood Cells from hESCs and hiPSCs, PLoS ONE., March, 2011. Vol. 6(3), pp. e17829. Hannoun Z, Fletcher J, Greenhough S, Medine C, Samuel K, Sharma R, Pryde A, Black JR, Ross JA, Wilmut I, Iredale JP and Hay DC (2010), The comparison between conditioned media and serum-free media in human embryonic stem cell culture and differentiation, Cell Reprogram. Vol. 12, pp. 133-40. Miki T, Ring A and Gerlach J (2011), Hepatic differentiation of human embryonic stem cells is promoted by three-dimensional dynamic perfusion culture conditions, Tissue Eng Part C Methods. Vol. 17, pp. 557-68. Mou H, Zhao R, Sherwood R, Ahfeldt T, Lapey A, Wain J, Sicilian L, Izvolsky K, Lau FH, Musunuru K, Cowan C and Rajagopal J (2012), Generation of Multipotent Lung and Airway Progenitors from Mouse ESCs and Patient-Specific Cystic Fibrosis iPSCs, Cell Stem Cell., April, 2012. Vol. 10(4), pp. 385-397. Spence JR, Mayhew CN, Rankin SA, Kuhar MF, Vallance JE, Tolle K, Hoskins EE, Kalinichenko VV, Wells SI, Zorn AM, Shroyer NF and Wells JM (2011), Directed differentiation of human pluripotent stem cells into intestinal tissue in vitro, Nature., February, 2011. Vol. 470(7332), pp. 105-109. Krawetz R, Taiani JT, Liu S, Meng G, Li X, Kallos MS and Rancourt DE (2010), Large-Scale Expansion of Pluripotent Human Embryonic Stem Cells in Stirred-Suspension Bioreactors, Tissue Engineering Part C: Methods., August, 2010. Vol. 16(4), pp. 573-582. 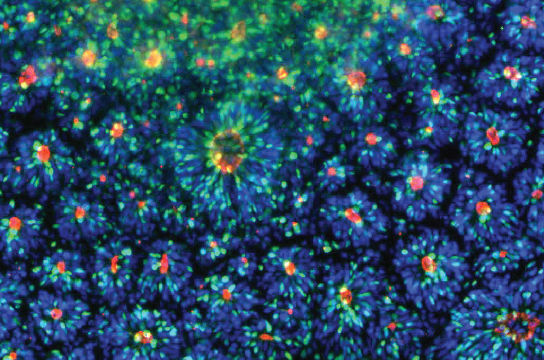 Oh SKW, Chen AK, Mok Y, Chen X, Lim U-M, Chin A, Choo ABH and Reuveny S (2009), Long-term microcarrier suspension cultures of human embryonic stem cells, Stem Cell Research., May, 2009. Vol. 2(3), pp. 219-230. Olmer R, Haase A, Merkert S, Cui W, Palecek J, Ran C, Kirschning A, Scheper T, Glage S, Miller K, Curnow EC, Hayes ES and Martin U (2010), Long term expansion of undifferentiated human iPS and ES cells in suspension culture using a defined medium, Stem Cell Res. Vol. 5, pp. 51-64. Singh H, Mok P, Balakrishnan T, Rahmat SN and Zweigerdt R (2010), Up-scaling single cell-inoculated suspension culture of human embryonic stem cells, Stem Cell Res. Vol. 4, pp. 165-79. Zweigerdt R, Olmer R, Singh H, Haverich A and Martin U (2011), Scalable expansion of human pluripotent stem cells in suspension culture, Nature Protocols. Vol. 6(5), pp. 689-700. Elliott DA, Braam SR, Koutsis K, Ng ES, Jenny R, Lagerqvist EL, Biben C, Hatzistavrou T, Hirst CE, Yu QC, Skelton RJ, Ward-van Oostwaard D, Lim SM, Khammy O, Li X, Hawes SM, Davis RP, Goulburn AL, Passier R, Prall OW, Haynes JM, Pouton CW, Kaye DM, Mummery CL, Elefanty AG and Stanley EG (2011), NKX2-5(eGFP/w) hESCs for isolation of human cardiac progenitors and cardiomyocytes, Nat Methods. Vol. 8, pp. 1037-40. Hazeltine LB, Simmons CS, Salick MR, Lian X, Badur MG, Han W, Delgado SM, Wakatsuki T, Crone WC, Pruitt BL and Palecek SP (2012), Effects of Substrate Mechanics on Contractility of Cardiomyocytes Generated from Human Pluripotent Stem Cells, International Journal of Cell Biology. Vol. 2012, pp. 1-13. Lian X, Hsiao C, Wilson G, Zhu K, Hazeltine LB, Azarin SM, Raval KK, Zhang J, Kamp TJ and Palecek SP (2012), Robust cardiomyocyte differentiation from human pluripotent stem cells via temporal modulation of canonical Wnt signaling, Proceedings of the National Academy of Sciences., July, 2012. Vol. 109(27), pp. 10759-10760. Zhang H, Zou B, Yu H, Moretti A, Wang X, Yan W, Babcock JJ, Bellin M, McManus OB, Tomaselli G, Nan F, Laugwitz K-L and Li M (2012), Modulation of hERG potassium channel gating normalizes action potential duration prolonged by dysfunctional KCNQ1 potassium channel, Proceedings of the National Academy of Sciences., July, 2012. Vol. 109(29), pp. 11866-11871.